Once you have the smile you’ve always wanted you’re happy to show it off to everyone and this can make all types of social situations less stressful. Your gain more confidence with Job interviews, meeting someone new, attending parties, nights out with friends all become easier because your confidence in your smile helps boost your self-esteem.Your willingness to smile makes you appear friendly and this benefits multiple aspects of your work and social life. There is so much different cosmetic dental treatments available nowadays such as teeth whitening, bonding or veneers, a dental professional improves the appearance of your smile.Cosmetic dentistry can give you a stunning smile post-procedure and can help you appear and feel healthier.A bright, straight smile can even give you a more youthful appearance. Some causes of dental flaws is from a traumatic experience or some type of oral defect.A accident may have led to a cracked tooth or teeth may be misaligned due to an abnormality during development.When you use cosmetic dental treatments to heal and improve your smile, you can move past the trauma or health issues that led to the dental flaws.A repaired smile, can help you embrace a happier future and eliminate the embarrassment you used to feel smiling. 4. Preventing oral damage with cosmetic dentistry. Dental damage such as decay, cracks, crooked teeth or missing teeth can have a negative effect on your oral health.Dental damage can lead to worse issues such as jaw pain, headaches and periodontal disease that require involved procedures to repair. Cosmetic dental treatments do more than improve the appearance of your smile and boost your self-esteem.They increase the integrity, strength, durability and health of your smile. Various dental treatments help you improve and maintain healthy teeth and gums, which are the foundations for a great smile. Various dental treatments help you improve and maintain healthy teeth and gums, which are the foundations for a great smile. One of the most popular types of cosmetic dentistry is teeth whitening to remove stains and improve the brightness of the teeth. Some other popular cosmetic dental treatments are veneers which are thin, porcelain shells matched to the colour of natural teeth, used to treat chips, gaps, misshapen teeth and stains. Bonding application of composite resin bonded to fix flaws such as gaps, cracks, and chips. Snap-On Smile is a quick, painless, temporary and noninvasive treatment that fits over teeth to hide flaws and instantly improve smile’s appearance. There are many different cosmetic dental treatments that may benefit you and your smile. It’s important to find a professional dentist to make sure your cosmetic dentistry is done safety and correctly. 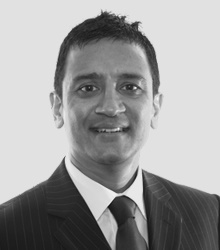 Learn more about Dr Minesh Patel dentist here. Connect with Dr Minesh Patel Bedford here and visit the Dr Minesh Patel website here.